What Is The Generic Name A Ret Gel- 0.025%? 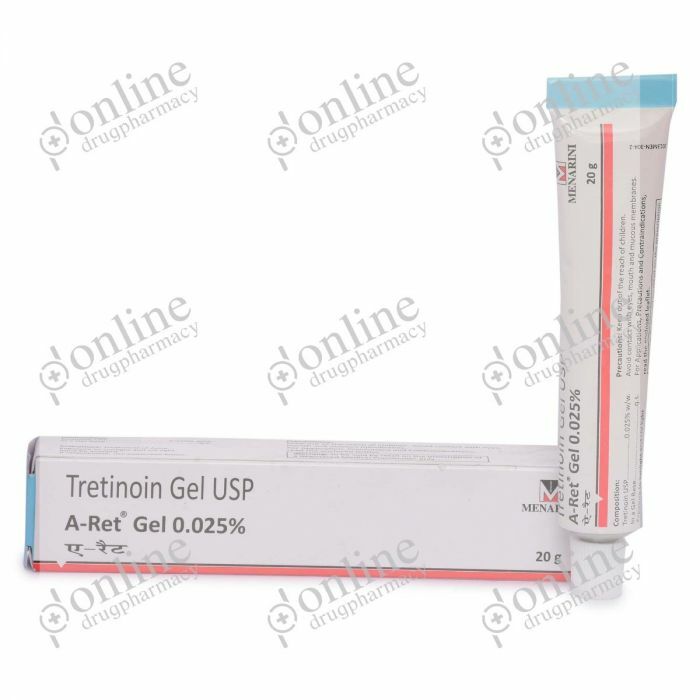 Tretinoin Gel USP is the generic version of A Ret Gel-0.025%. It is manufactured by Akums Drugs, India. A Ret Gel is an oil-free topical medicament manufactured by Akum Drugs. Akum drugs & Pharmaceuticals ltd is one of the most innovative, productive & research based pioneer organization in India having its registered office at Delhi & various plants in Haridwar and Uttrakhand giving employment to more than 2000 people. A Ret Gel contains the active drug constituent Tretinoin in the concentration of 0.025%. How A Ret Gel- 0.025% (Tretinoin Gel USP) Works? A Ret Gel improves the rate of replacing older skin cells by new skin cells. It works by opening pores which allow natural oil producing glands to function correctly by decreasing blackheads and other spots. ● Are allergic to A Ret Gel. ● Are using some skin products. ● A Ret Gel- 0.025% is available in varying strengths and different dosages. ● Various strength gels are easily available in the drug stores, online pharmacies and medical supply stores. How Much Of A Ret Gel- 0.025% (Tretinoin Gel USP) should be applied? It is recommended to apply a thin layer of gel with a clean finger on the required area. ● Clean your hands properly. ● Wash and dry the treated area before gel application. ● Apply gel with fingertips over the affected area. Use this gel as long as directed by the physician. More than six weeks of therapy may be required for beneficial effects. Applying an excessive amount can cause peeling of the skin, so use a thin layer of A Ret Gel on the skin. If you missed any dose, then there is no need to apply double doses next time. After application of gel, avoid direct exposure to sunlight & UV rays. ● Stop using a gel in case of allergy. ● Keep gel out of the reach of children. ● Always inform your doctor about your medical history. ● Follow instructions given by the doctor. ● Read the instructions on the tube properly. Use A Ret Gel as prescribed by your doctor to treat fine lines, wrinkles, sunburnt skin, acne vulgaris and to control skin ageing. ● Apply A Ret Gel according to the directions given by your doctor. ● Wash your hands properly before and after applying A Ret Gel topically. To take the maximum benefit, use A Ret Gel as per the instructions given by your doctor. Apply A Ret Gel directly to the affected part of your body. It comes in gel form in the strength of 0.025% w/w of Tretinoin Topical - 0.025%. ● Do not take by mouth. ● Wash your hands before & after application of A Ret Gel. Clean and dry the skin is before use. ● Do not wash treated area immediately after use. ● Applying an excessive amount can cause pilling. ● Avoid use of this medicine in your nose or eyes or mouth. ● Keep in a dark place. ● Avoid using the refrigerator.